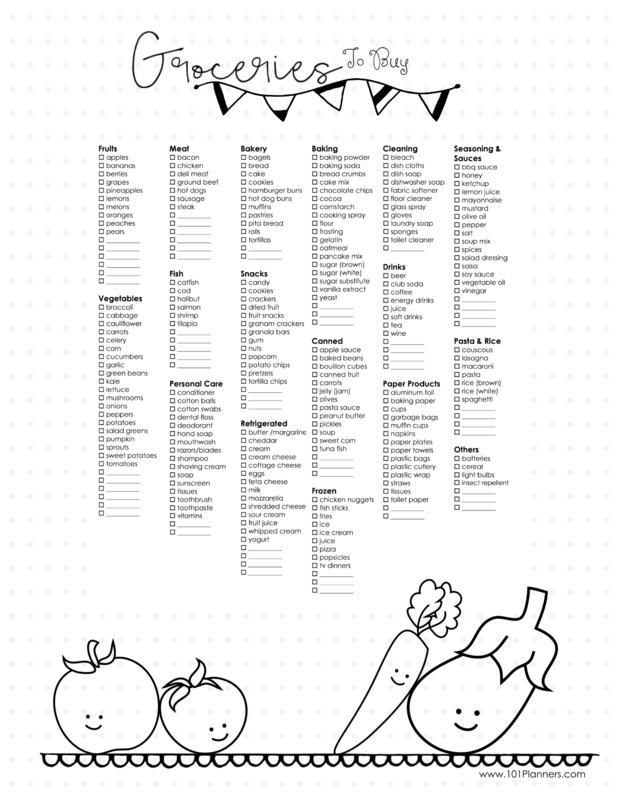 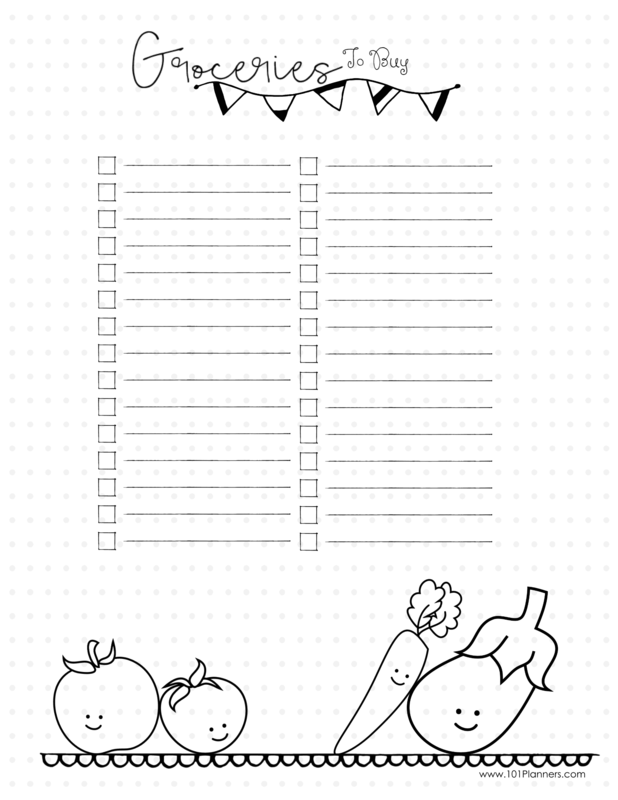 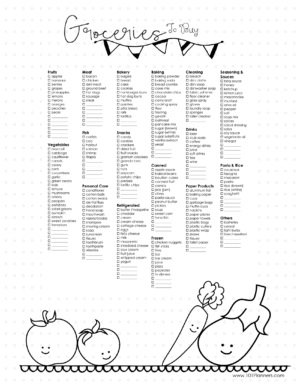 The following free printable grocery list template can be customized and personalized. 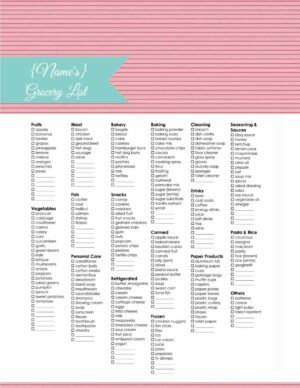 Choose any design and then click on the template that best suits your needs. 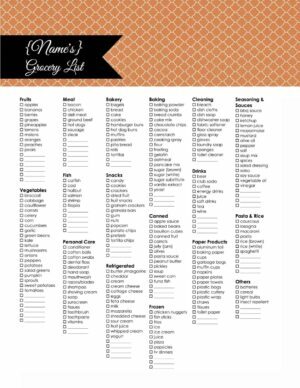 There is a basic grocery list and different versions for those with pets and/or a baby. 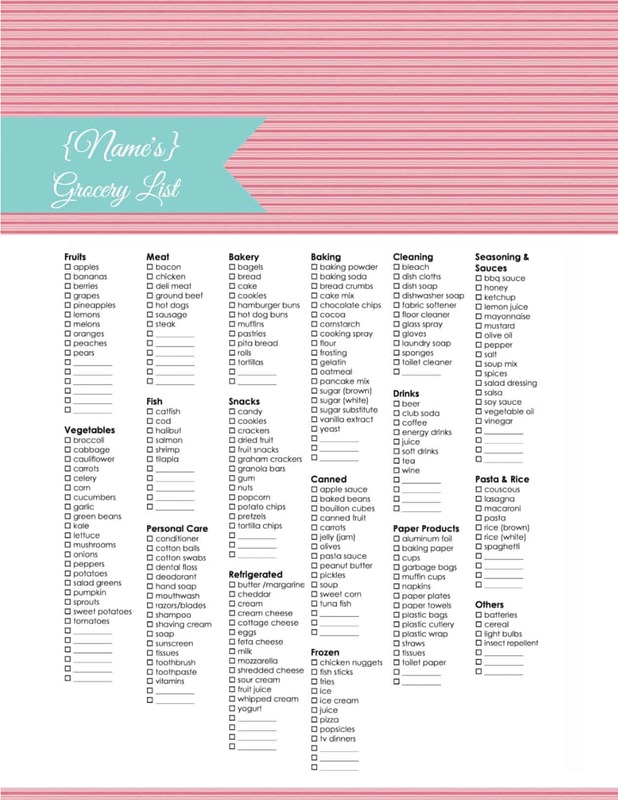 We also have a healthy grocery list, vegan grocery list and a vegetarian grocery list. 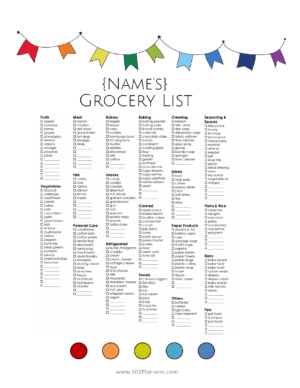 Add your name to personalize the grocery list. 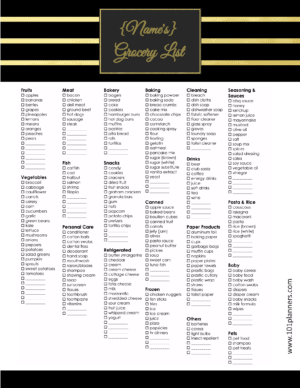 Why Use Printable Grocery Lists? 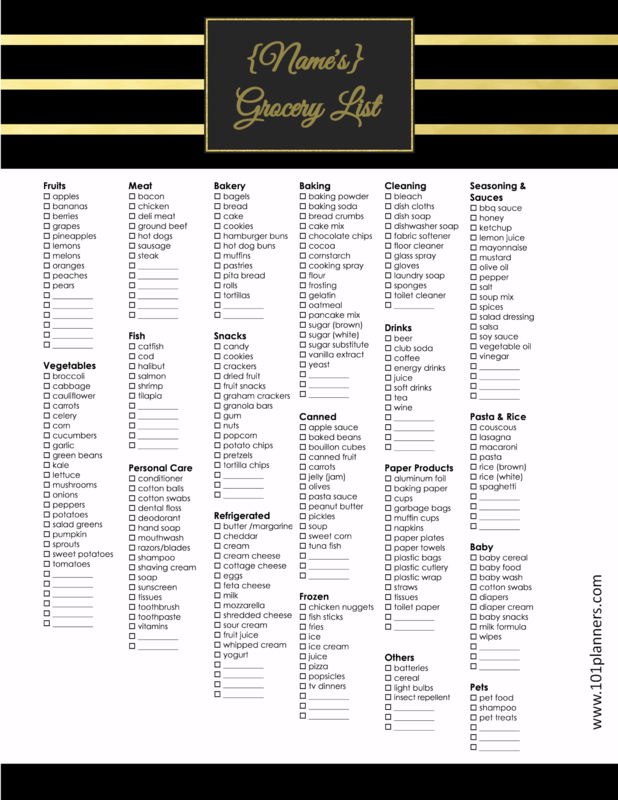 Going to the supermarket with an organized list will ensure that you don’t forget to buy anything. It will also keep you on track and prevent you from buying groceries that you don’t need. The printable grocery list template contains most of the basic groceries that people usually buy. 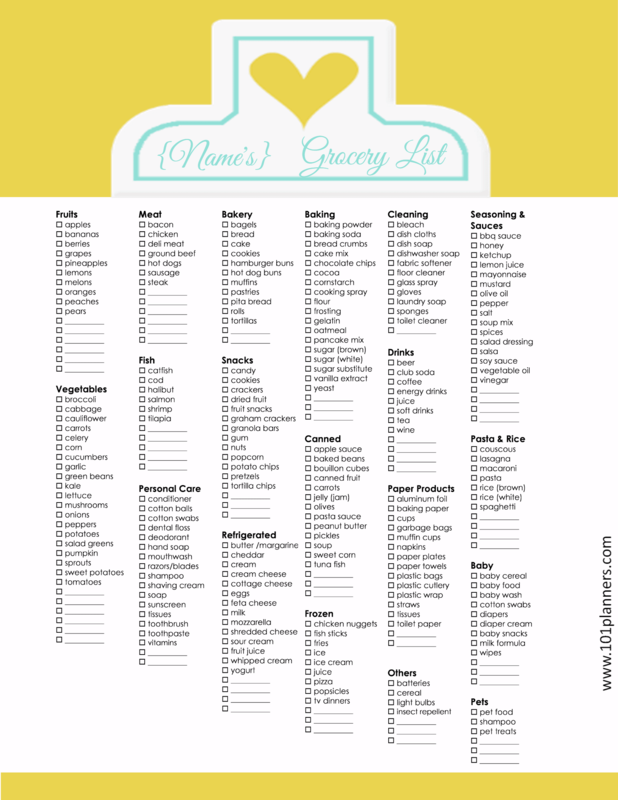 If there are groceries that do not appear on the list then add them to the relevant section. 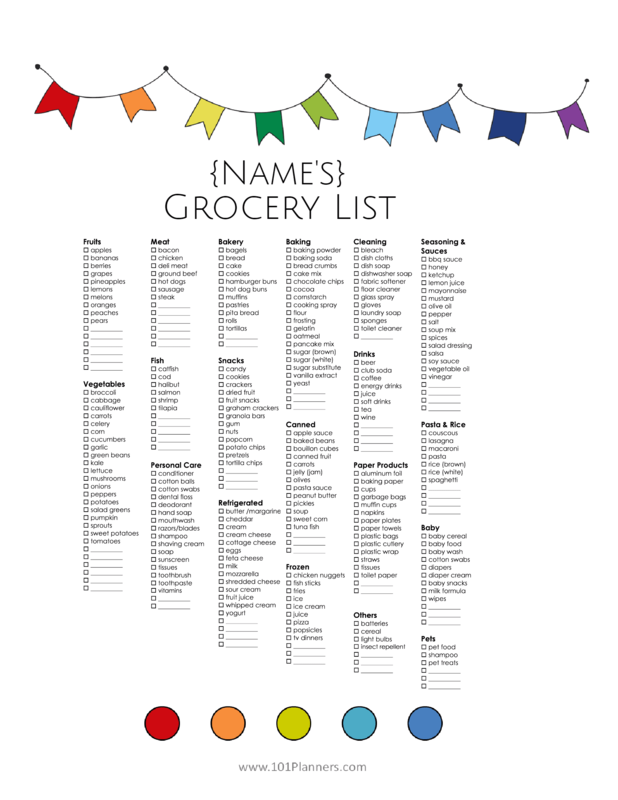 You can type them with the grocery list maker before you print. If you have already printed the list then you can just write the additional products. 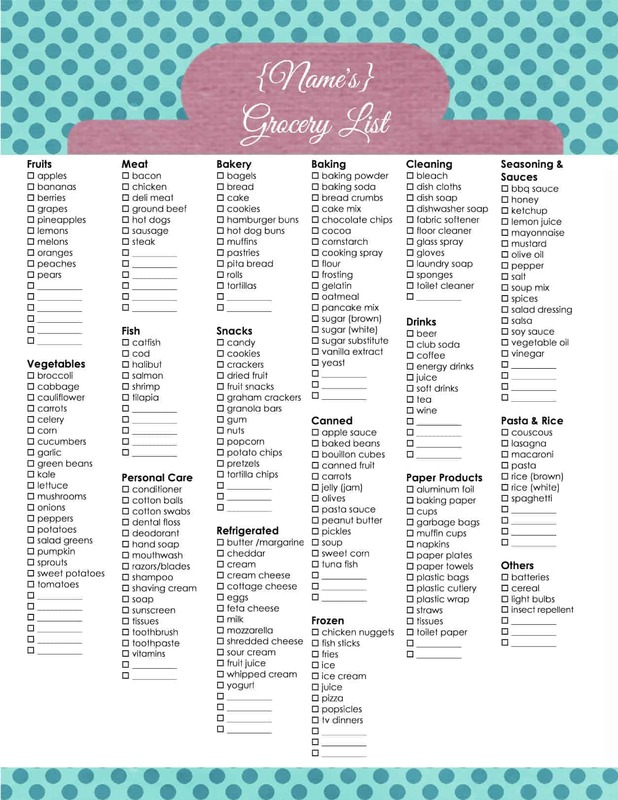 Make a copy of the list and always keep the original for each trip to the supermarket. 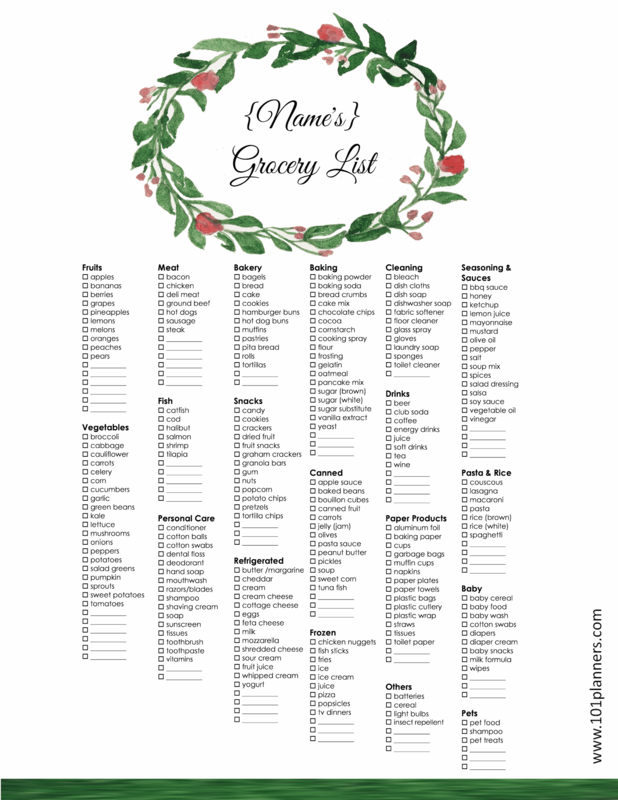 That way, you will always have an updated list to print or use before you go shopping. Most people like to keep their list on their fridge and update it whenever they notice that something is missing. 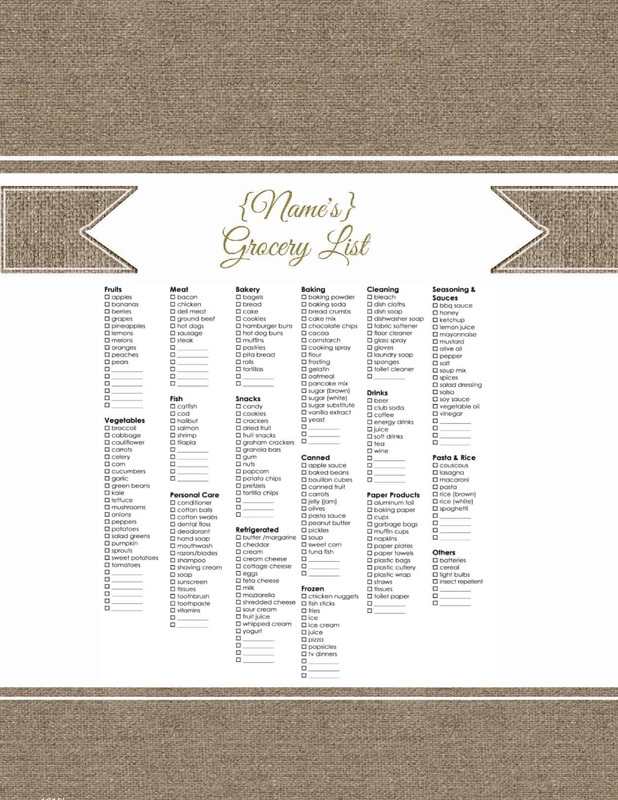 You can use our grocery list maker to add an item to the list before you print it. 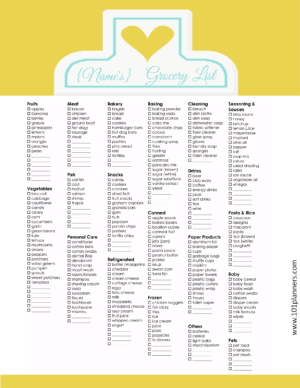 Select the grocery shopping list that you want to use from the selection above. 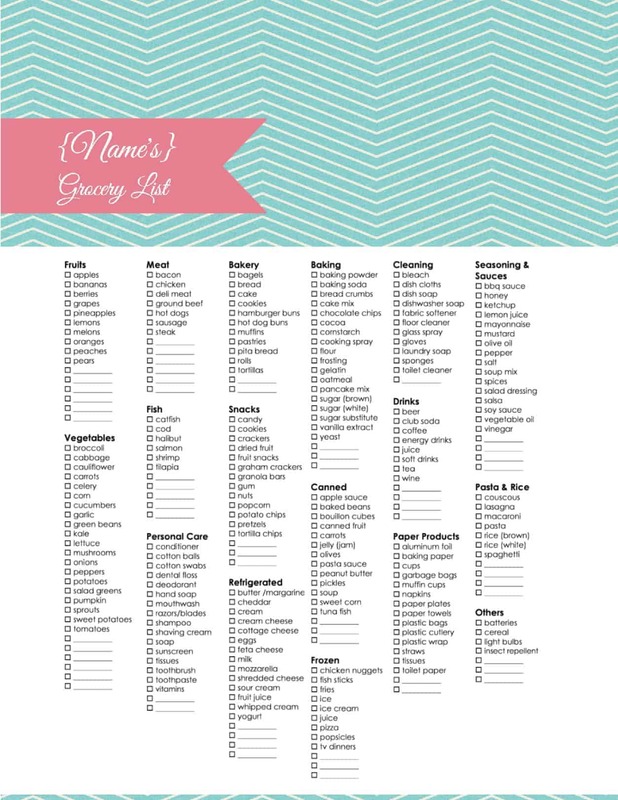 Type the name of the product that you want to add. 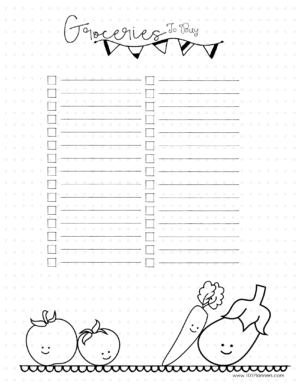 Move the product to the relevant section. 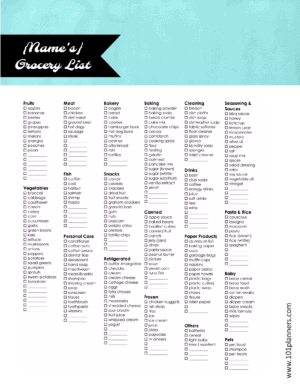 Download the grocery shopping list and store it somewhere where you will find it in the future. Print a copy of the blank list. 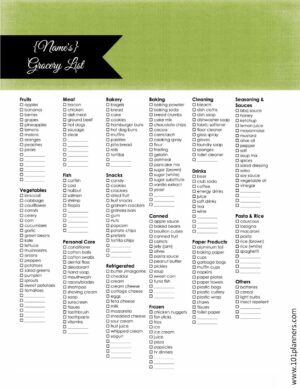 Mark the groceries that you want to buy each time you go shopping. 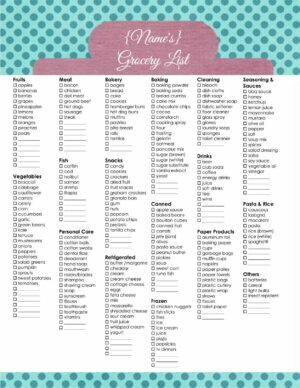 Tip: Use the shopping list together with our free menu planner to ensure that you have all of the required ingredients for your planned meals.